Whether you’re looking for ways to prevent condensation in your windows, advice about draughts, or need some advice about fixing or replacing faulty windows, doors, seals, locks, handles or hinges, Quay Windows can help! With over 15 years of experience in the Windows and building trade, we’re certain that there won’t be many questions we can’t answer! If you can’t find the answer to your question below or would like to arrange a FREE quote, please do not hesitate to Contact Us, we’ll be more than happy to help. There is Condensation Between the Glass Panels - What do I do? Condensation in the cavity of a double glazed window can indicate a problem with the seal of the unit. There should never be condensation in between the two panes of a hermetically sealed unit. Condensation within a cavity can be caused by a leakage of moist air from the room into the window cavity, or by moisture inside the air space itself. To arrange a no-obligation home visit or to discuss your problem in person, please call us on 01237 429133 / mob: 07966 349377. 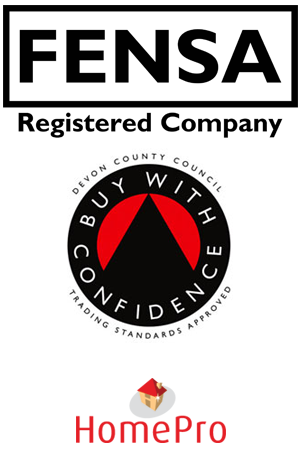 Alternatively, email us at info@quaywindowsbideford.co.uk, or contact us online using our Enquiry Form. Can I Fix or Replace Broken handles, Hinges and Locks? Depending on the age of the product, nearly all hinges, locks, handles, letterboxes and gaskets can be replaced. Please contact us to arrange a no-obligation visit to assess your problem. Windows/Doors are letting in Draughts - What can I do? This is usually a simple and cost-effective repair. Either the hinges or the external gaskets need replacing. My Door wont Lock! What can I do? A replacement door is not always necessary and problems can often be solved with a simple repair, for example a small adjustment to replacing the door cylinder, gearbox or locking mechanism. Repairs are much more cost effective then a replacement door, so contact us today to see how we can help! Got questions about Quay Windows products and services? Visit our FAQ page for helpful answers to our most common queries.